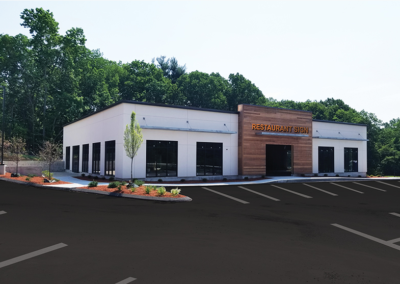 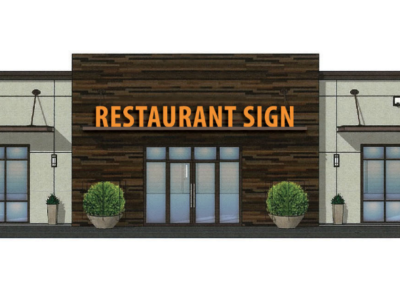 This brand new development includes a 7,500 SF restaurant building in a scenic environment with 151 exclusive parking spaces and an area to accommodate outdoor seating. Located directly off of Spit Brook Road at the entrance to Gateway Hills, the site is within one of the most affluent neighborhoods in Southern NH and less than one mile from the NH/MA border. 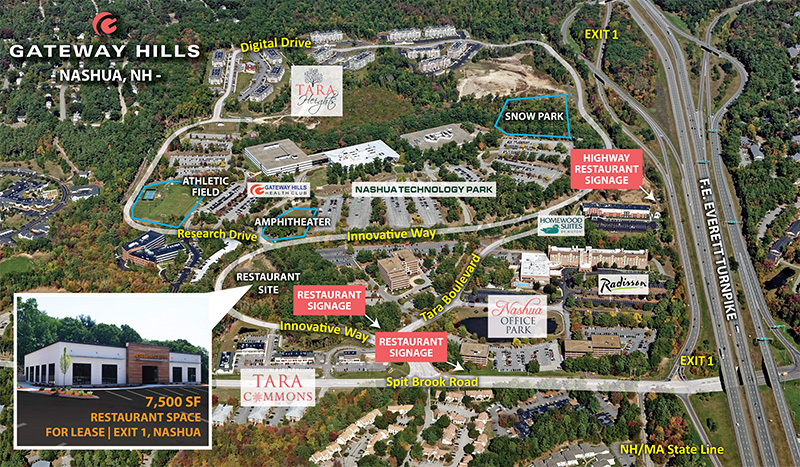 Currently home to more than 75 world class companies and over 4,000 employees, residents and visitors working and living here on a daily basis, Gateway Hills is a 400-acre “Live, Work, Play, Shop” lifestyle community. 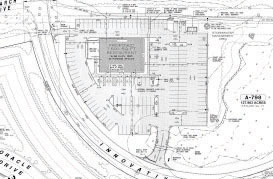 The site includes a 564-unit luxury apartment complex, Tara Commons Neighborhood Retail Center to run day-to-day errands, 105-room Homewood Suites by Hilton Hotel, Outdoor Amphitheater with seasonal concerts and entertainment events, Gateway Hills Health Club and a new snow park for skiing and snowboarding, which is expected to draw thousands during the colder, winter months.